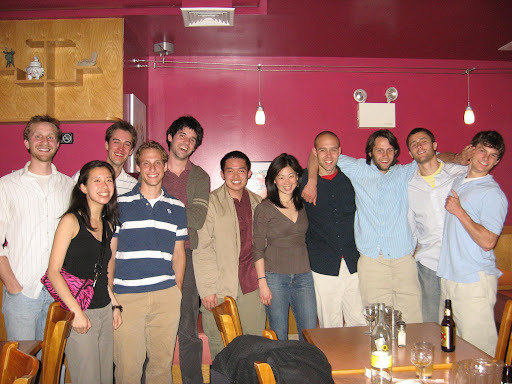 In honor of Paul’s 24th birthday, a posse of 12 gathered at Ajia for their delectable All U Can Eat sushi, which is reasonably priced at $21.95, plus tax and tip. The special also includes unlimited miso soup and salad. It was my second All U Can Eat affair of the week (Lacroix being the first), but I was ready to throw down once more because there’s always room for sushi. The restaurant was packed on Saturday night and the service was extremely spotty because one waitress was working the entire room. 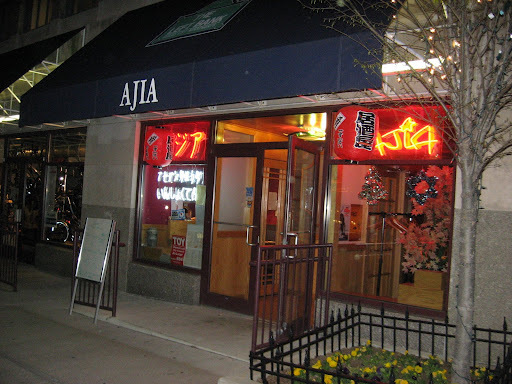 This was my fourth time testing my stomach’s limits at Ajia, so I knew what to expect when it came to service. 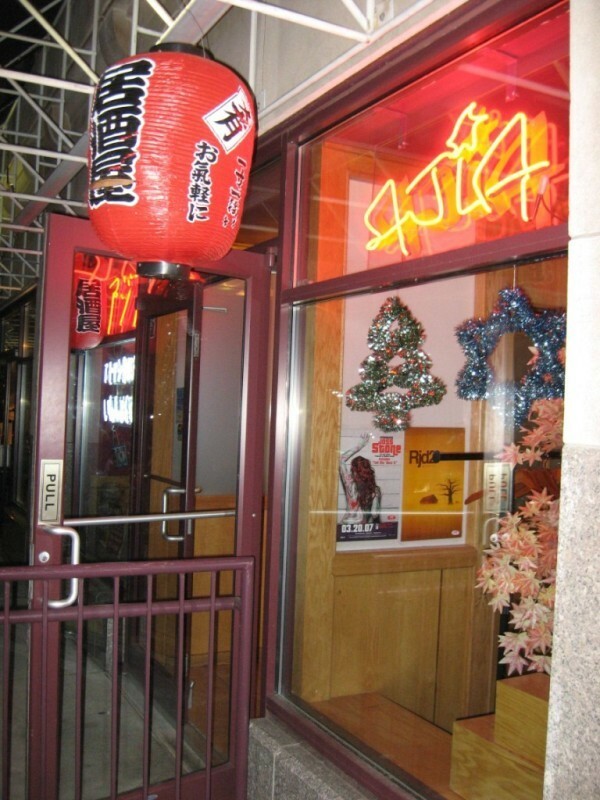 In my book, great sushi at a great price more than makes up for nonexistent service. As usual, I passed on the soup and salad to save room for the good stuff. 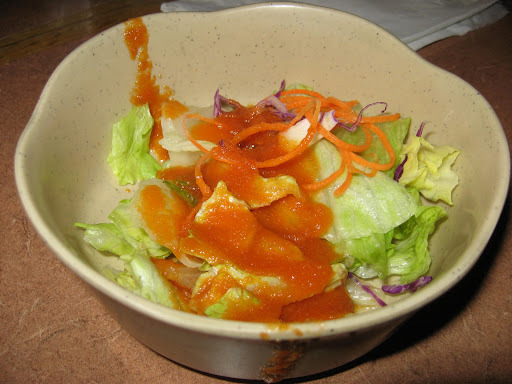 The Astronomer is a fan of the salad’s orange and ginger dressing. 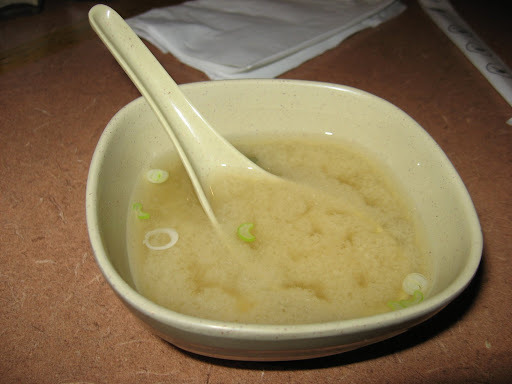 The miso soup is decent as well. 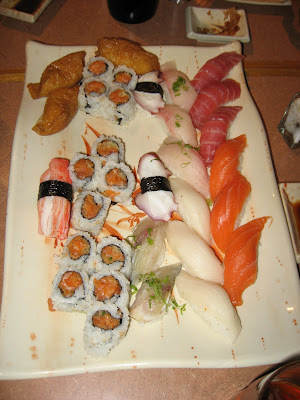 The variety of nigiri and rolls offered for the All U Can Eat special is impressive. 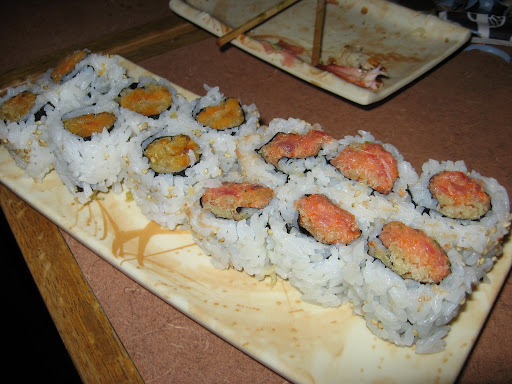 Our group’s favorites were the Shrimp Tempura Roll, Spicy Crunchy Tuna and Salmon Roll, Unagi, salmon and tuna nigiri, and the Sweet Potato Roll. 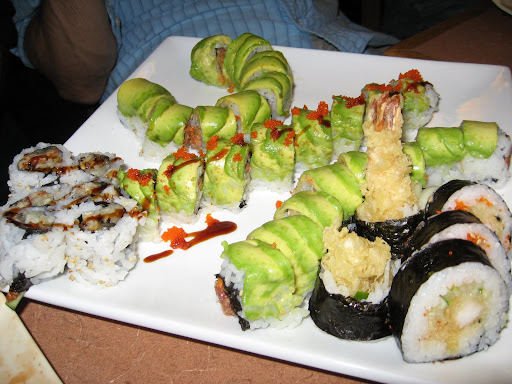 The Inari, Unagi nigiri, and Philadelphia Roll are three of my personal favorites. 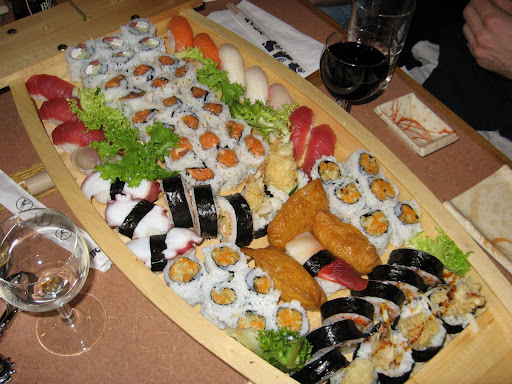 The ratio of fish to rice is perfect and the fish is generally very fresh. However, the Mackerel seemed a bit off on this evening. 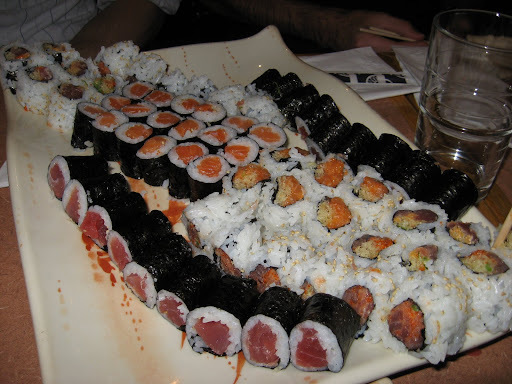 All of the sushi is made to order, which takes a while with a large group. 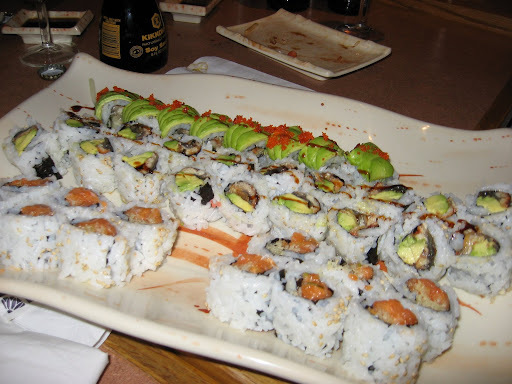 After 3.5 hours and eleven rounds of sushi, we left thoroughly stuffed and satisfied. Hi– I found your site via Tastespotting, and I’m living (eating?) vicariously through your posts! I enjoy looking at your photos and reading your reviews. I do want to mention a technical point, possibly an error in Ajia’s menu: sashimi are slices of raw fish that are served by themselves, without the ball of rice underneath. 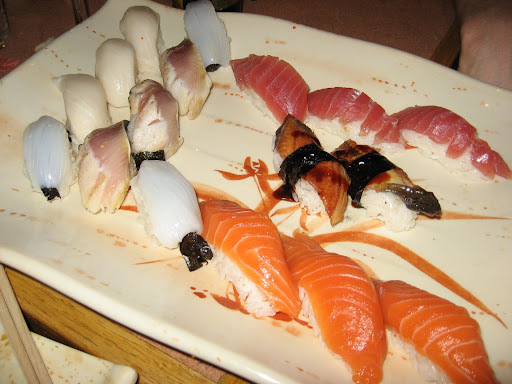 When a slice does have the rice, it is called nigiri sushi. 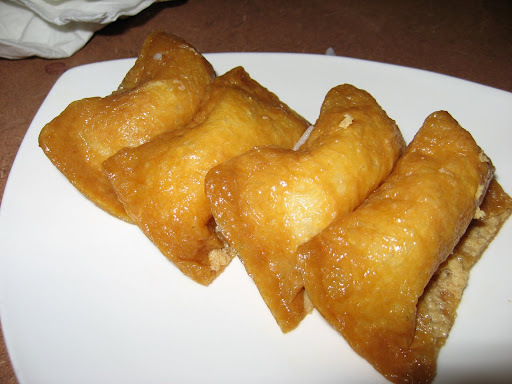 Inari, being fried bean curd, is not a sashimi, but is called inari sushi. 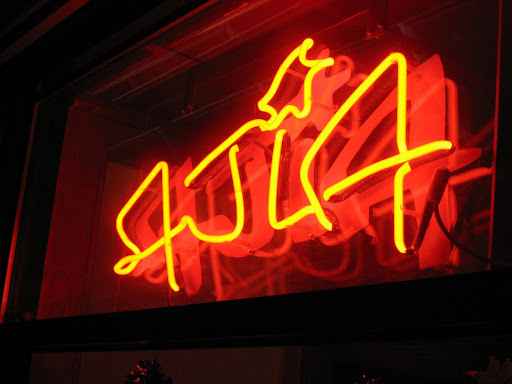 Looks like you had a great time at Ajia! 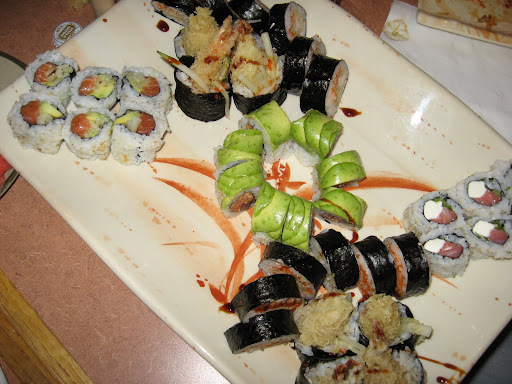 This is the most excellent food bloggings ever! I am massively impressed with your writing and photots! Keep it up!!! 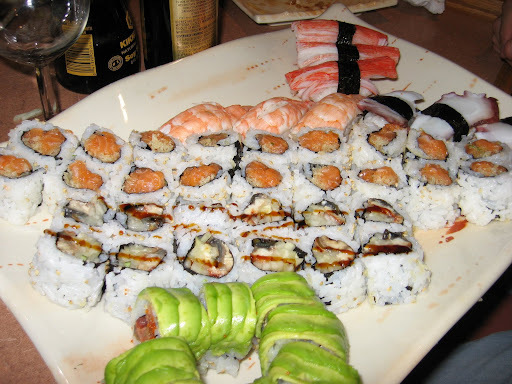 Beautiful sushi assortment! Now that’s a kind of BD party I would like to have. 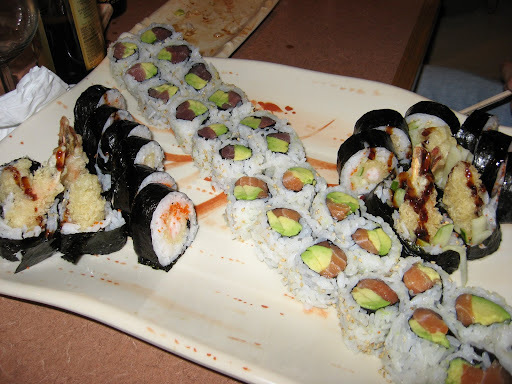 If I can eat sushi to my hearts content, I would be a happy camper.